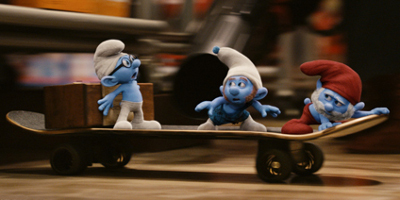 Our world is about to get Smurf'd! 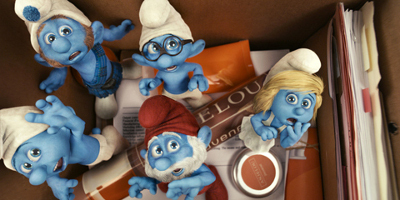 Smurf-O-Vision: Second Screen Experience: Interact with the Smurfs as they take over your TV & iPad®, iPhone® or iPod touch® while you watch the movie! The Smurfs™ Fantastic Adventure Game - Help Clumsy race through the village and Central Park to stop Gargamel and his evil plans! 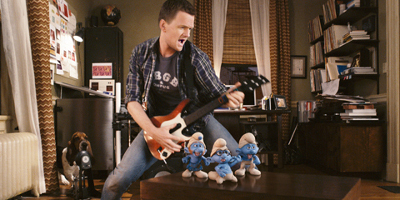 "The Smurfs™: Comic Book to the Big Screen"
"Smurf™ Speak: Meet the Cast"